Based on 153 customer ratings. Giordano’s will make you think you died and went to pizza heaven. And with our convenient Edison Park location, you won’t have to go to Chicago to get a taste of our famous pie! When you’re ready to experience the best deep dish pizza in the world in the comfort of your Edison Park home, come to Giordano’s! Giordano’s is a cherished Chicago tradition because we handcraft every pizza pie using the freshest ingredients and time-honored techniques. 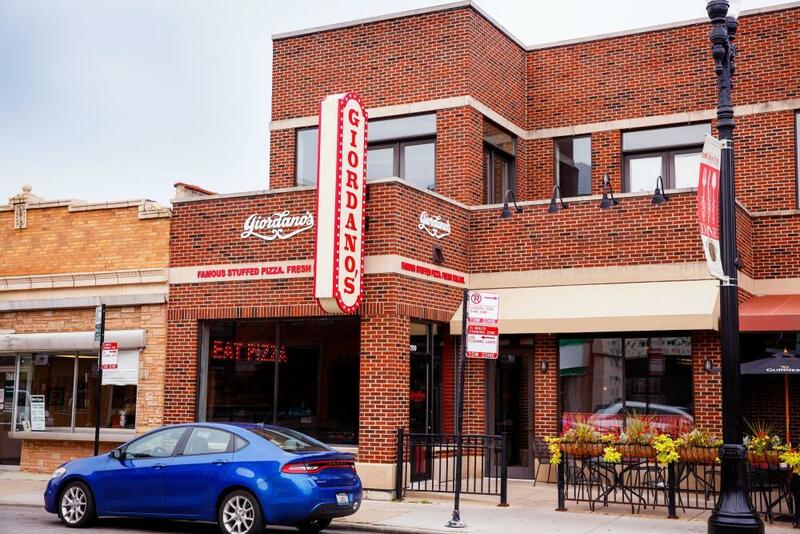 Order Giordano’s for takeout or delivery, and get the best Chicago-style pizza and more. Mouthwatering Stuffed Pizza, Built Your Way Crust + toppings + cheese is okay, but it’s not nearly the taste experience you’ll enjoy when you order one of our famously mouthwatering stuffed pizzas. It takes 6 trained craftsmen and 35 minutes to construct just one Giordano’s pie, and that’s why you’ll find our pizzas have the flakiest dough. You’ll love our fluffy mozzarella — made exclusively for us on a small Wisconsin farm — as well as our carefully chosen, locally grown toppings. The care we put into every pie makes us the best pizza place in Edison Park! If you’re in the mood for more than pizza, explore our menu of zesty appetizers, fresh salads and hearty sandwiches. Going gluten-free? We have many options you’re sure to love!